Not everyone is permitted into foyer of the Swiss Federal Parliament Building. Our table «Rik» however is part of the inventory. The enjoyment of privileges also means that responsibilities are borne and «Rik» masters these exceptionally: whether supporting heavy files, a few glasses of wine or the occasional weary head of a politician, «Rik» is always there to help out. 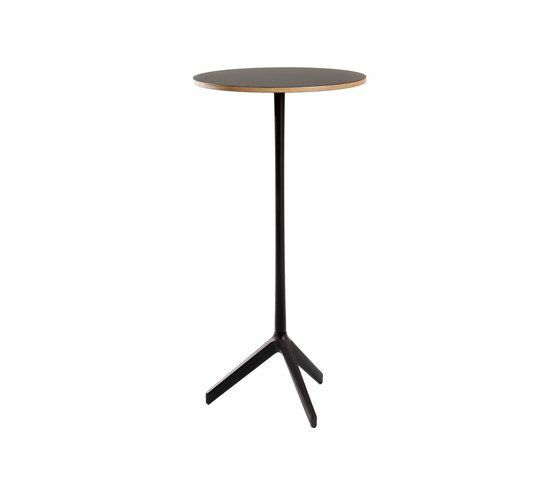 The cast-iron base provides the necessary stability, while the tapered tableleg displays timeless elegance. «Rik» is available in four different sizes and various materials. This makes the table endlessly versatile: be it as a coffee table beside the sofa, as a salon table for a fine glass of whiskey or a bistro table in a restaurant – «Rik» fulfils every task with dignity. You could even say, with real mastery.